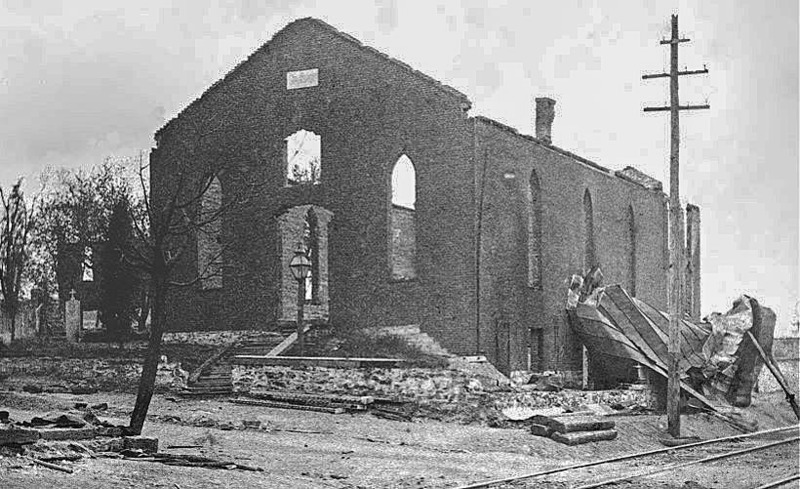 The remains of St. Joseph’s Catholic Church, which was originally situated on the south side of Walnut Street along the railroad tracks. The view is to the southeast. The church was rebuilt on the north side of Broadway just east of the tracks, where it stands today. 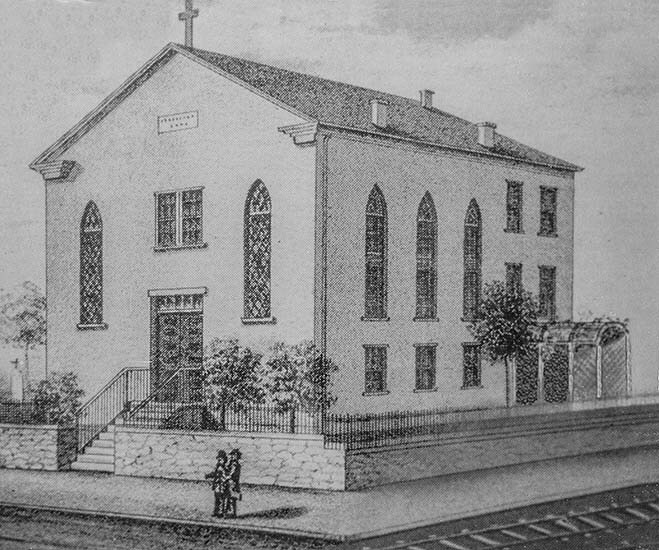 Below is a drawing from 1845 that shows what the church looked like before the fire.